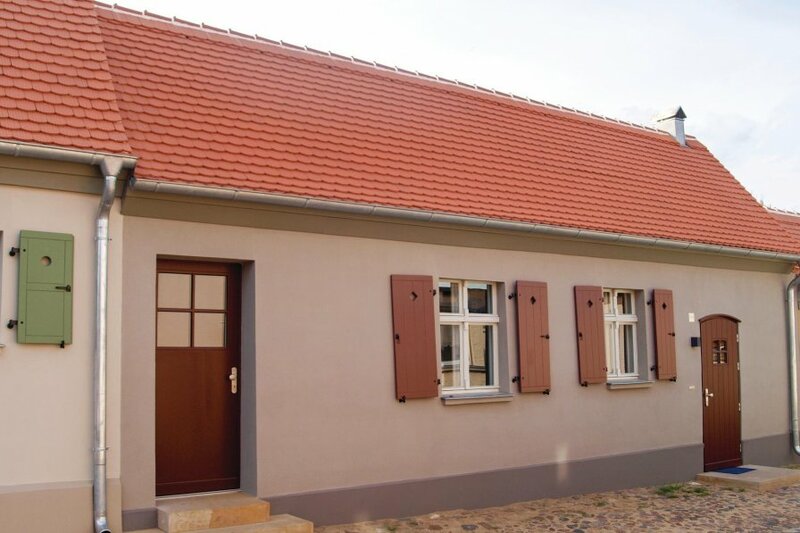 This 1 bedroom house is located in is located in Kyritz and sleeps 4 people. It has WiFi and parking nearby. This house is made from wood and brick and was originally built in 1890 and refurbished in 2018. The agent has rated it as a three star property so it is a well-kept house, equipped with standard furniture. It is also good value for money. The houseIt is located in Kyritz, 35km from Neuruppin. It is set in a good location, 3.5km away from a lake. There's also a restaurant 1km away. The house has free wireless internet. You can also park on-site at no extra charge. 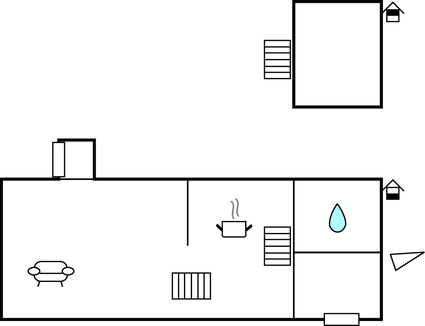 The house is adequately equipped: it has a refrigerator. It also has some shared garden furniture outside.